This post addresses new forms of financing as the third dominant type of voluntary programs for low-carbon buildings. These programs seek to overcome yet another problem in the transition to a low-carbon built environment: the difficulty experienced by property developers and owners sourcing funds for developing or retrofitting low-carbon buildings. A key problem here is that banks and other financial institutions are still hesitant to provide loans and mortgages for low-carbon buildings. They fear that the low-carbon credentials of these buildings are not reflected in their market value, which implies a risk if building owners cannot pay back the loans and mortgages provided. Governments particularly have taken up active roles in the development of novel forms of financing for low-carbon buildings. Do these funding programs achieve better outcomes than the two types I have discussed in the previous posts (certification and classification programs, and knowledge generation and sharing programs)? By now it will probably not surprise you that the short answer to that question is: no, they do not. Comparable to the knowledge generation and sharing programs I discussed in the previous post, these financing programs come in a wide variety of designs. The following examples give some idea of the breadth of these programs. A revolving loan fund implemented by the Amsterdam City Council in 2011 – renamed the “Amsterdam Climate and Energy Fund” in 2014. It was established to fund projects that contribute to improving Amsterdam’s economic competitiveness, social aspects and urban sustainability. Initial funds came from selling shares the City of Amsterdam held in privatised utilities. Funds provided are paid back to the city with 4.5 per cent interest. Once funds are reclaimed they can be issued to another project, hence the term “revolving” loan fund. This mortgage program implemented by the US Federal Housing Administration in 1995 recognises that homeowners can reduce their utility expenses through energy retrofits or upgrades of their houses, and allows those who seek to do so to top up their approved mortgage. The US Federal Housing Administration does not provide loans, but insures the additional mortgages that lending institutions supply. The mortgage can be used for making energy efficient improvements to new or existing homes. Maximum mortgage limits are set to five per cent of the property. PACE was developed and implemented by PACENow, a not-for-profit organisation, in 2008. It is a tripartite financing program that helps property owners to access long-term loans for energy retrofits and upgrades. Loans are sought from local governments and repaid through a property tax. Local governments issue bonds to obtain funds that can be lend to property owners. PACE requires state and local government to pass laws that enable PACE financing. PACE initially applied to commercial and residential property, but as a result of the subprime mortgage crisis the US mortgage authorities (Fannie Mae and Freddie Mac) refused to finance mortgages under PACE. This has effectively terminated the residential part of PACE. A tripartite financing program implemented by the City of Melbourne in 2010. It brings together the city, finance providers, fund managers and Melbourne-based commercial property owners. Under the program individual property owners commit to a minimum reduction of energy consumption of their office buildings of 38 per cent in an agreement with the City of Melbourne, stating what retrofits they will undertake to achieve this aim. In return the city provides these property owners with funds to retrofit their buildings, and recovers these from the property owners through a statutory charge that is linked to rates collection. The City of Melbourne borrows these funds from external finance providers. A US-based revolving loan fund framework implemented by the Sustainable Endowments Institute, a project within the Rockefeller Philanthropy Advisors, and a number of partner organisations (mostly education and environment non-profits), in 2011. It encourages colleges, universities and other non-profit institutions to invest a total of US$1 billion in self-managed revolving loan funds to finance energy efficiency improvements of educational facilities. The Challenge does not manage or provide funds, but provides support in starting up such revolving loan funds. In assessing this type of voluntary programs in Australia, the Netherlands and the US I found again that they perform poorly when looking at the actual low-carbon buildings they realise, or the carbon emissions they reduce. The Amsterdam Investment Fund has only funded a handful of projects thus far. This is partly a result of local political turmoil around the fund, and partly a result of the requirements it sets. Truly innovative retrofitting projects cannot promise a return of 4.5 per cent per year (innovation implies risk taking) and are therefore ineligible for funding. The projects that get funded appear somewhat political also – even though the fund tried to cut ties with policymakers by contracting out management. One of the few projects that received funding is the installation of solar panels on Amsterdam’s flagship soccer stadium at the cost of €1.6 million (AU$2.33 million). The fund expects these will result in a carbon reduction of 15,000 tonnes over their 20-year technical lifespan. At the time of awarding the project, one tonne of carbon was traded for under €30 (AU$43) under the European Emissions Trading Scheme. The €1.6 million could also have been used to buy emission permits representing more than 55,000 tonnes of carbon – close to four times the yield of retrofitting the flagship soccer stadium. Yet, the city’s politicians can now boast about having one of world’s most energy efficient soccer stadiums. Energy Efficient Mortgages in the US is another example of poor performance. Over the period 2011-2014 less than 6000 mortgages were issued. To put this number in perspective in the program’s best year thus far, 2011, out of close to 15 million mortgages issued throughout the United States a mere 1065 were issued under the program, representing less than 0.1 per cent of mortgages that year. Reviews of the program indicate that homeowners simply do not demand these mortgages because they are generally not interested in retrofitting their homes. Those who are interested in doing so often have funds for retrofits, or consider the paperwork and other related administrative efforts too much hassle for the relatively small (additional) mortgage provided through the program. On the supply side finance providers are also hesitant to participate. They fear rebound effects, where consumers use more energy because they feel this is acceptable since they now occupy an energy efficient house. Their cost-savings dampen, making them less capable to pay back the additional mortgage. Other cases in point are PACE and 1200 Buildings. 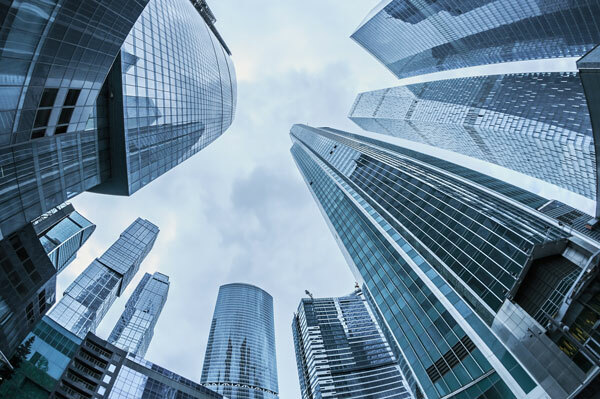 Since its launch in 2008, PACE has funded some 350 commercial building retrofitting projects throughout the US – poor performance when keeping in mind that the commercial building stock in the US represents some 5.6 million buildings. Similarly, by 2015, halfway through 1200 Buildings’ lifetime, 25 property owners have committed a mere 42 buildings to the program. The number of participating property owners and buildings that have committed to the program has gone down over the years, rather than up. Programs such as PACE and 1200 Buildings appear to face a similar problem as Energy Efficient Mortgages. They focus on small- and medium-sized commercial property owners. But such property owners are often not interested in building retrofits. They either use the buildings they own themselves and they consider any investment in their property as an unnecessary cost, or they have long-term tenants that do not ask for more environmentally friendly building space. Strikingly, again I found that program administrators and others present a narrative of success. PACE administrators use the terms “leaders” and “success stories” in marketing the program, and the popular media picks up this narrative also: Tax Programs to Finance Clean Energy Catch On is the headline to a New York Times article from 2013 that in highly positive terms discusses the promise and uptake of PACE. More shocking, both the Amsterdam Investment Fund and 1200 Buildings in Melbourne have been awarded very prestigious Climate Change Leadership Awards for being world leading governance innovations in the transition towards a low-carbon built environment. These awards are issued by the C40 Cities Climate Leadership Group, an international network of the world’s largest cities that work together on climate change policies. These awards seek, as explained on the C40 website, to “[reward] important, innovative policies and programs that reduce emissions and improve sustainability” and to “recognise those successes, catalyse ambition and share lessons with cities around the world”. In awarding the Amsterdam Investment Fund, for example, the C40 Cities Climate Leadership Group was particularly positive. It goes without saying that the City of Amsterdam proudly uses these accolades in marketing itself and the fund. But the true story is one of political turmoil and the issuing of a handful of funds. What is going on here? A closer look reveals that the C40 has honoured the fund with an award, partly, for wishful thinking regarding possible outcomes, not actual results. On the C40 website they present an idealised version of the fund and its performance: In 2010 the fund was not even up and running, and by the time the C40 honoured the fund with an award (in 2014) it had already changed name, size and focus, had been a topic of a fierce and ongoing political debate, and had only awarded 10 per cent of initially reserved funds. That makes for a much less inspirational example of “city leadership” than the version of the fund presented on the C40’s website. Building on my research, I am not hopeful about this type of program. Property owners appear to have little interest in voluntary retrofitting or otherwise developing low-carbon buildings, even when they have access to funds. The problem thus is not so much funding, but a lack of interest from property developers, owners and users. These programs also come with some specific risks. One is the difficulty of keeping fund allocation separated from policymaking. When facing a crisis it will be very tempting for policymakers to reallocate funds from this type of program to the crisis that needs solving. Another risk is that these programs effectively borrow from the future. On paper property owners and users may reduce their energy consumption when they occupy low-carbon buildings. In reality they may rebound to higher levels of energy consumption, or energy prices may simply rise. This will make them less capable to pay back funds. Still, I do see a way forward for these programs. Energy efficient mortgages in particular appear a good vehicle to accelerate the retrofitting of residential property. To overcome the problem of limited uptake, governments could start thinking about moving from voluntary opting-in programs to voluntary opting-out ones. I will return to this and others ideas about how to improve voluntary programs for low-carbon buildings in the final article in this series.